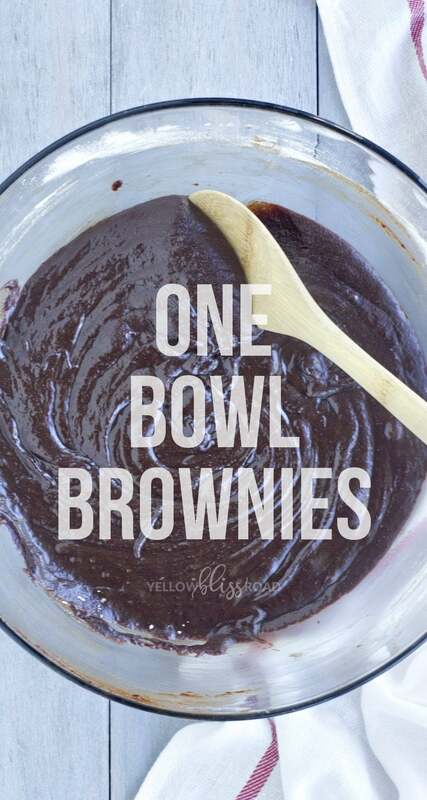 These one bowl brownies couldn’t be easier to make. With just 6 ingredients they come together quickly and with just one bowl and a spoon – there’s hardly any clean up! 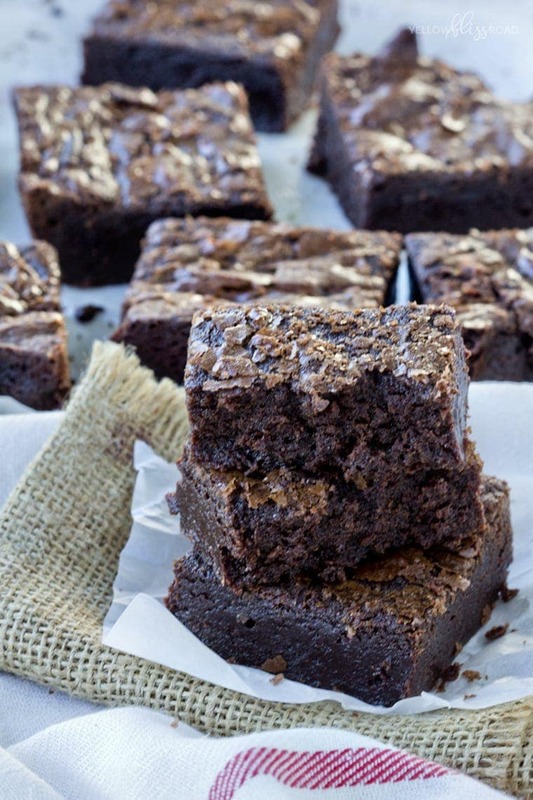 It’s no secret that I have an affinity for brownies. Rich and fudgy or thick and cakey, it makes no difference to me! 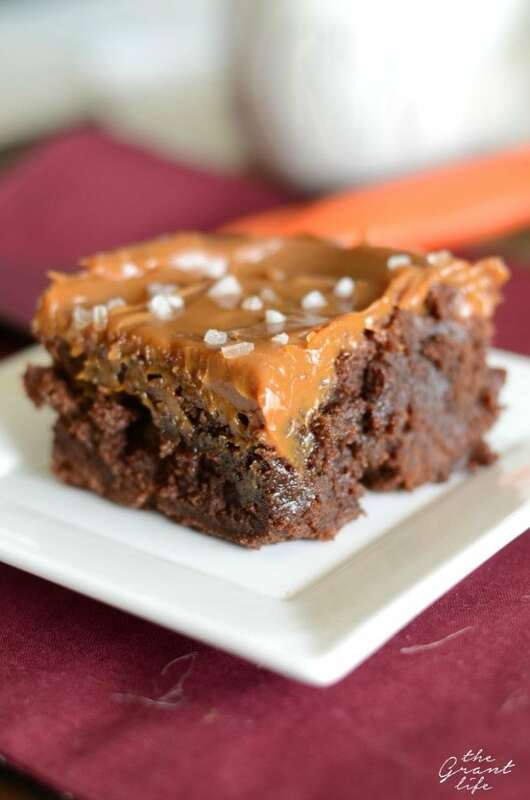 These brownies though, are so fudgy and rich and chocolately, they are definitely a favorite recipe. I love that I can mix everything together in one bowl, and that I don’t even need a mixer. 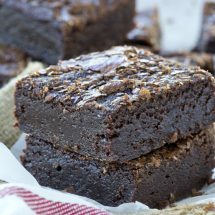 In fact, for fudgier brownies, you definitely want to use a wooden spoon to mix as over-mixing can result in a more cake-like brownie. 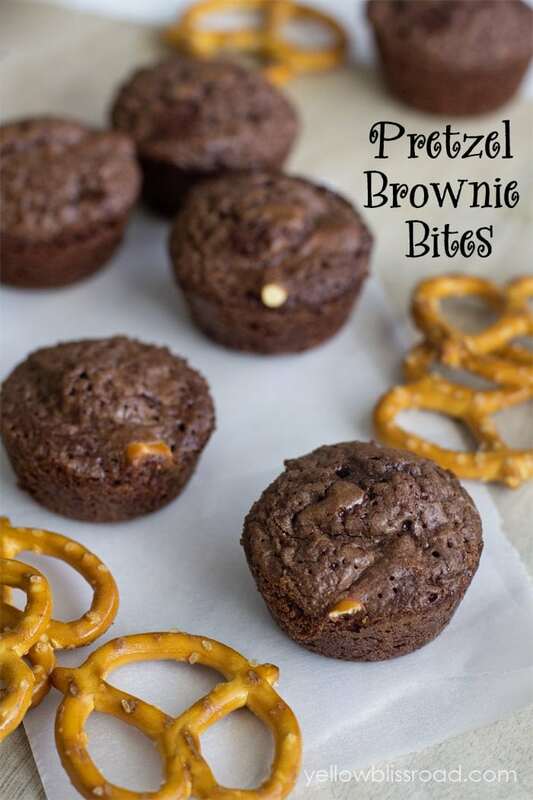 These one bowl brownies also lend themselves to additions – for an extra chocolately brownie, fold in a half cup chocolate chips. Or add some crunch by adding in a half cup of walnuts, pecans, or even crushed up pretzels. 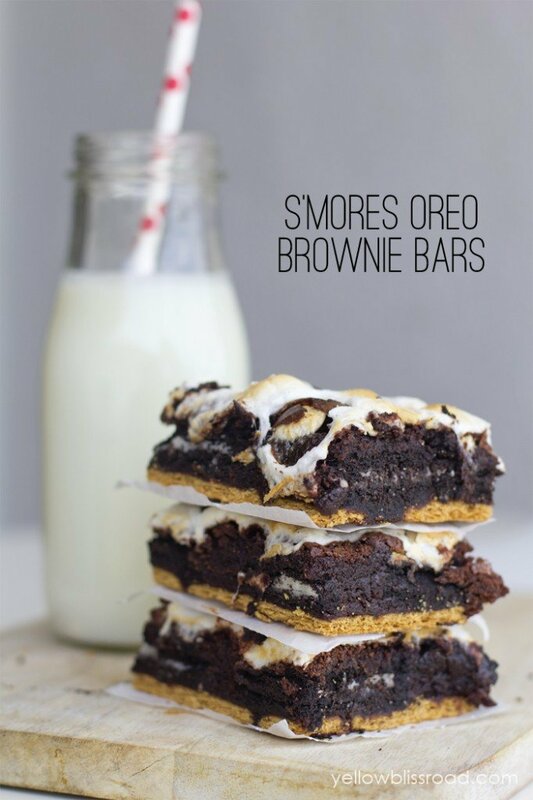 Line the pan with graham crackers and fold in some mini marshmallows for S’Mores brownies! The possibilities are endless! Place butter and chocolate chip in a medium size, microwaveable mixing bowl. Microwave on high for 30 seconds. Stir, and continue microwaving and stirring in 30 second intervals until chocolate is melted. Pour into a well greased 8"x8" pan. Bake in the preheated oven for about 35 minutes or until a toothpick inserted into the center comes out clean. Made today and have one word for them, AMAZING! If u haven’t tried them u must. You won’t be disappointed! That’s great to hear Dora! These were so good I stopped being sad that the Falcons lost yesterday. Thanks! 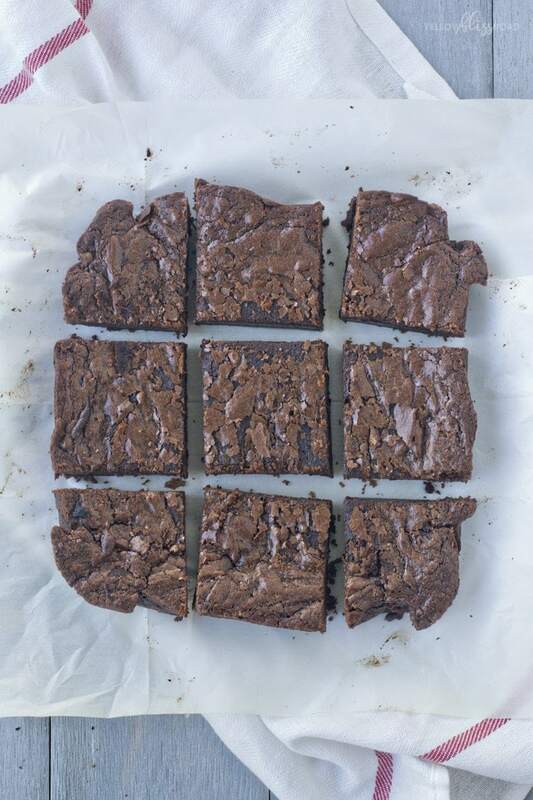 My new go-to brownie recipe. So simple, so scrumptious. Made these yesterday and they are gone today! Delicious! I added a half cup of chocolate chips to the batter and everybody appreciated it. Next time I want to try a dark chocolate instead of the semi-sweet, then milk chocolate after that. Thanks for a great recipe. Oh that sounds even more amazing! Thanks for sharing the tip. 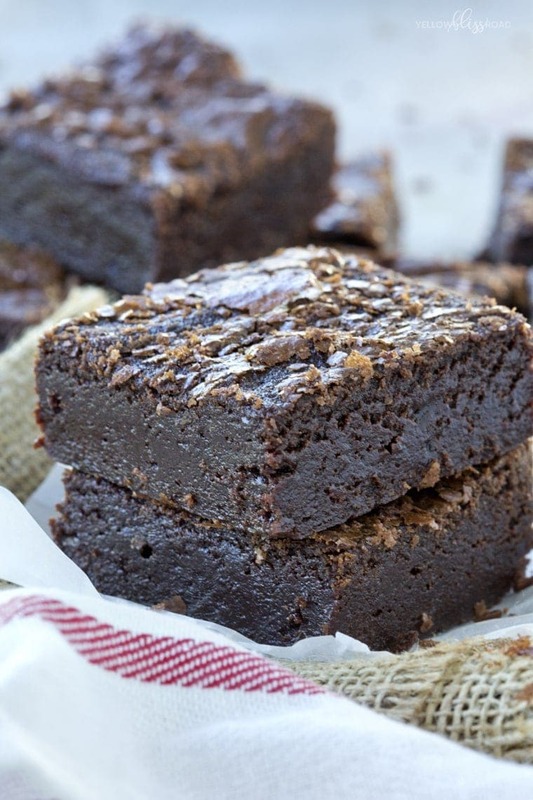 Your brownies look so fudgy — nice photo’s! My guys will love them!